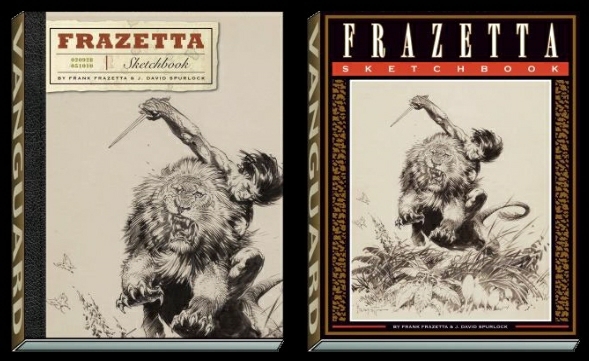 Given that there already is a Frazetta sketchbook and numerous other books I would hope they would come up with new material. Odd then that the cover is neither a sketch nor previously unpublished. I’ve been very disappointed with Vanguard – they give glossy packaging but the selection of art is low quality leftovers. Add to that that the Frazetta family has been in a vulture like battle over control of their father’s estate, I’m not hopeful about this publication.